For 4 years, EVE-NT has provided content from the EVE universe across a number of formats, including player meetups, PvP tournaments, a dedicated streaming channel. EVE: Valkyrie continues to add to our great content line-up alongside EVE Online, all thanks to the hard work and dedication of our volunteers. EVE will continue to be a part of the next incarnation of EVE-NT; but will now form part of a new brand, Plus10Gaming. This new organisation will keep the EVE and Valkyrie content that you know and love, but will also cover player-versus-player content for other games on its Twitch and YouTube channels. Our first key step in this new direction is as an eSports partner for PlayerUnknown’s Battlegrounds (PUBG). We are looking into running a monthly event for PUBG in the near future, opening up to a different kind of on-screen PvP action. 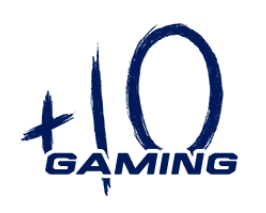 The goal of Plus10Gaming is to showcase and create content for a range of PvP games, building up communities and a platform for talent to grow and shine. Plus10Gaming will be a fully-fledged company owned jointly by Nashh Kadavr and Bei Artjay, and will continue to work with some of our existing partners. The EVE-NT London meet will continue with Demitri Slavic at the helm, the EVE-NT Championship and EVE-NT Cup will continue under the leadership of Elise Randolph, and the ISK Starter service will stay open for business. Watch out for a Valkyrie streaming feature week at the end of the month, as well as details about the next EVE-NT Championship! We look forward to seeing you all with us on this first step of the evolution of EVE-NT, and for the exciting launch of Plus10Gaming. Looking forward to when Valkyrie will be a viable tourney title. Soon.